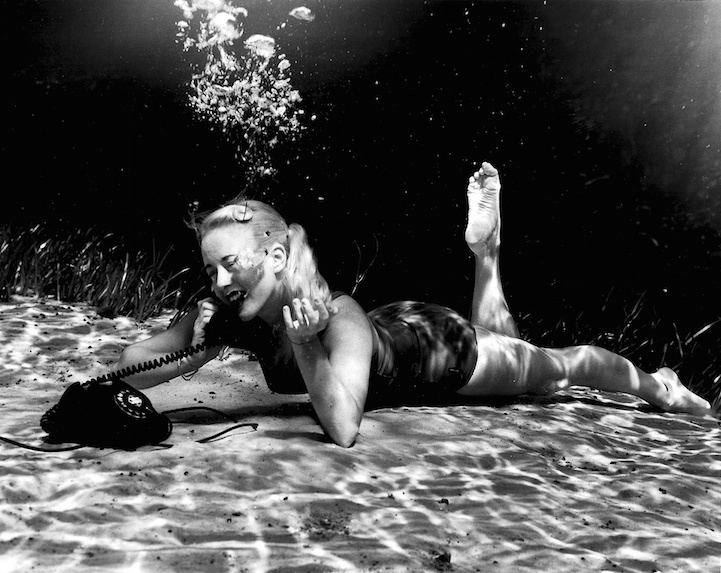 Playful Scenes Captured Subsurface by the Pioneer of Underwater Photography in 1938 #ArtTuesday « Adafruit Industries – Makers, hackers, artists, designers and engineers! When it comes to underwater photography, few have the lifetime’s worth of knowledge and innovation that Bruce Mozert possesses. Born in Ohio in 1916, Mozert moved to New York to become a photographer at a young age. In 1938, while en route to Miami for an assignment, he stopped at the Florida state park Silver Springs to get a glimpse of famous actor and swimmer Johnny Weissmuller, who was filming a Tarzan film in the area. Mozert ended up staying there as the official photographer of Silver Springs for the next 45 years, during which he became a leading pioneer of underwater photography.